Liam had a visual goal and we implemented a cost effective plan to bring it to life. We took meticulous steps to create the perfect site for Liam’s venture. Although we ground out the hard work, we consulted Liam at every stage to ensure we were on the same page. We signed the project off in such a way that Liam could easily maintain the site and manage his products in the backend. WebPigment is an awesome agency and really blew us away with their knowledge of WordPress. They came on board during a project that we were trying to push the boundaries with. Having them captaining the backend gave us the ability to focus on the front end. They delivered their part of the project with quality and excellence. We broke the project down into bitesize phases. We started with the aesthetic of the site. What’s going to draw customers in and encourage them to keep coming back? How are we going to make the products really sing? An eye-catching archive page with user-friendly functionality was vital. 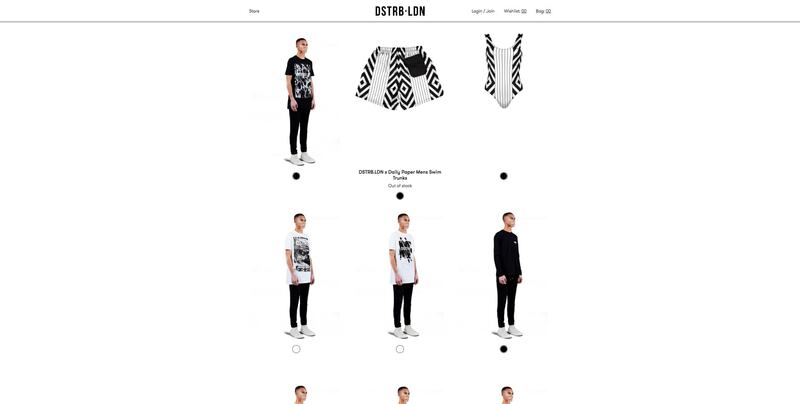 We included tone-switch buttons below each product thumbnail so customers can easily view DSTBLDN’s products in all the correlating colors. 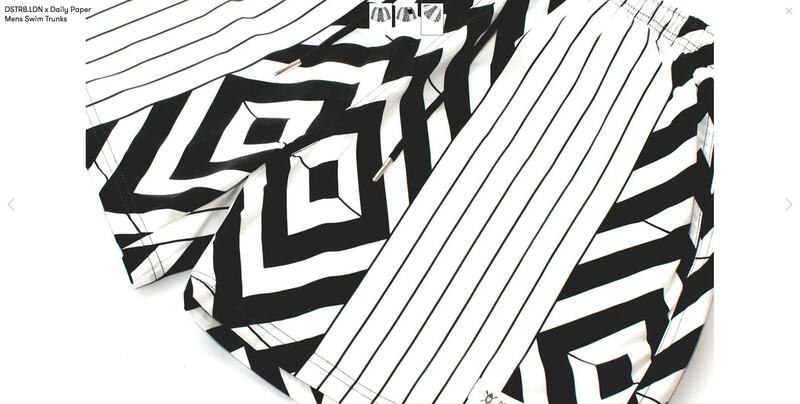 We implemented similar functions on the product page – we leveraged AJAX functionality to make the browsing of products and cart process as seamless as possible. 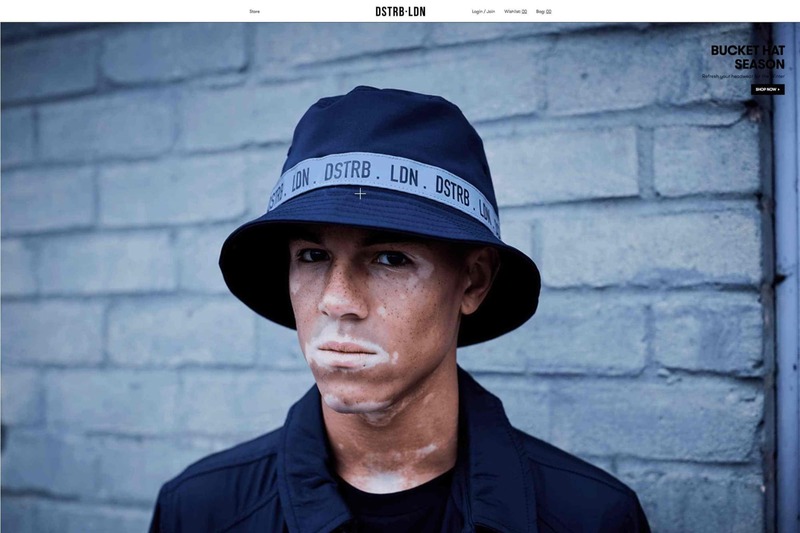 DSTBLDN’s new site keeps customers focused and engaged on the shopping experience. Customers now enjoy an optimized shopping experience with updates of previously viewed products and cart contents in real-time on every page. The importance of an easy experience for the customer cannot be overstated. 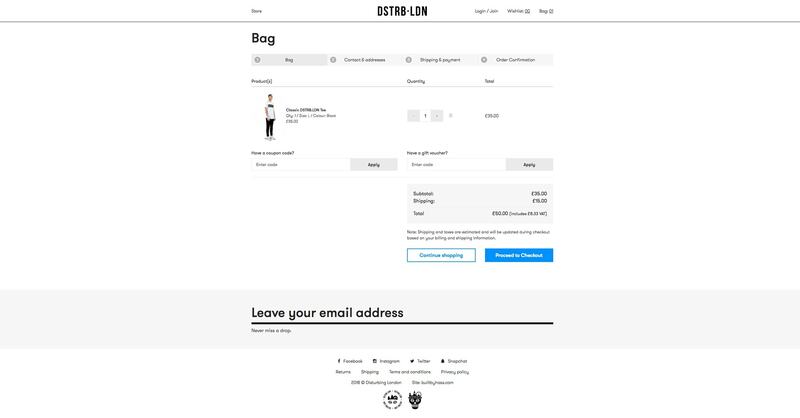 We built a customized checkout process – from cart contents to payment process and order confirmation – so that checkout is fast, efficient and simple to use. Last but not least, we implemented Google conversion rates so that we and DSTBLDN can keep an eye on all relevant data. This is useful in that we can monitor at what stages the customer leaves the page or checkout process. With this data, we can pinpoint any improvements necessary to perfect the browsing experience and increase sales further. It was a pleasure to share ideas with Liam and work together to create the best shopping experience on the web. 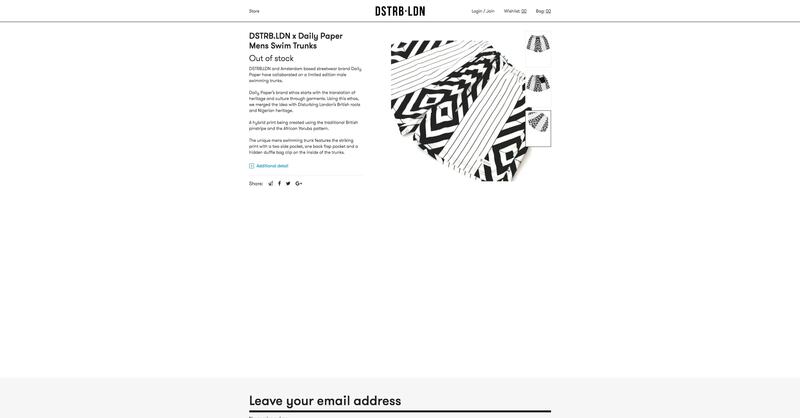 DSTBLDN has grown exponentially since our hard work and shows no sign of slowing down. We now have an ongoing relationship with Liam and look forward to working on many projects with him in the future.